Frank Yerby was an African American writer who gave the world a body of literature that has inspired and thrilled millions of readers. A brilliant storyteller and an intellectual giant, it is estimated that Yerby sold more books than all other African American writers combined. With the publication of his twenty-fifth novel, The Voyage Unplanned Yerby had sold over 55 million books in eighty-two countries and in twenty-three languages. 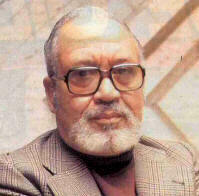 Additionally, Yerby wrote eight novels before his death in 1991 bringing the total number to 33. If his accomplishments were limited to mere storytelling, Yerby’s body of work would still be impressive. However, the depth and breadth of his work is truly astounding. His Goat Song takes place as far back in antiquity as 431 B.C.E during the time of the Peloponnesian War and his The Old Gods Laugh and its sequel Hail The Conquering Hero are set in a 20th century Central America country exploding in revolution. Yerby directly engages “the greatest story ever told” with his Judas My Brother a work thoroughly researched in Israel and through original translations of the Dead Sea Scrolls. In A Darkness at Ingraham’s Crest, Yerby’s greatest masterpiece, slavery’s story is revealed in its complete horror, brutality and depravity. Yerby tells of noble souls, pure of heart, filled with zeal for justice and freedom. He also describes villainous knaves so perverse and debauched in their evil deeds that they can be said to belong to a satanic society whose aim is to see piled high the bleached white skull and bones of innocent victims. And, of course, Yerby marks those poor creatures caught in life’s fatal embrace, saddled, for good or ill, to whim, chance and fortune. And in The Dahomean, Yerby deals with treachery, the vilest crime imaginable in describing how jealousy drives an African prince to sells his own brother into slavery. Yerby helps us understand Don Quixote’s quest; he makes aware of Shakespeare’s allegories, metaphors and allusions; and reveals the secrets of Kant’s Critique of Pure Reason. Without a doubt, Frank Yerby is the greatest Black writer America has ever produced and his international reputation as being the greatest Black writer of any country is rivaled only by that extraordinary genius, Alexandre Dumas, himself. Yet, to most readers, whether they be scholars or intellectuals, professionals or students, activists or reactionaries, Frank Yerby’s name is unfamiliar and his work is unknown. the eternal warfare between the sexes. a narrator of the Black experience within the context of western culture. The existence of Yerby’s literary canon and Yerby’s intellectual thought argues for the need to study and understand him . Yerby’s canon spans a time period as old as western civilization itself. His book, Goat Song, is set during the time of the Peloponnesian War between Athens and Sparta in 404 B.C. another, The Old Gods Laugh, during a conflict between a fascist dictatorship and Marxist revolutionaries in a Central American republic in the 1970s. Yerby writes about the 13th century Albegensian Crusade in his Saracen Blade and about the 18th century French Revolution in The Devil’s Laugher. He writes about the French underground and OSS activities against the Gestapo during the Second World War in A Voyage Unplanned. He tells stories about the slaveholding South before the civil war in his Foxes of Harrow. The he describes how the cross burning South snatched victory from the jaws of defeat during the reconstruction in Griffin’s Way. Yerby chronicles the 19th African slave trade to America in century in Fairoakes and the 9th century slave trade in An Odor of Sanctity. Yerby’s Judas My Brother is on a par with Robert Graves, King Jesus even though as an intellectual tour de force the nod must go to Graves. as a narrator of the black experience within the context of western culture which is how Eugene Stovall sees Yerby. Frank Yerby associates his work with those Victorians like Thackaray and Dumas, Austen and Brontes, Byron and DickensHellip; authors who deal with eternal verities. Yerby wrote about heroic humanism and how great men used their indomitable will to compete against their natural fate. Yerby does not identify with Modern or post-Modern writers. He is unwilling to yield to scientific and behavioral determinism. Though governments, corporations and religions overwhelmed humanity with schemes to expropriate their economic value and force them to behave as efficient automatons without souls, without minds and without spirits, Yerby’s characters are empowered with the motivation and intelligence required to reaffirm their humanity. Time and time again, Yerby argues for the primacy of human values in a human society while despairing if genuine humanity will ever re-emerge. Yerby waged a determined struggle against the 20th century’s determination to marginalize the human spirit out of existence. Yerby called himself a costume novelist in attempt to mask from his white readers discussions of political ideologies, social movements and class antagonisms. In the meanwhile, Yerby hoped to teach his target audience the really important stuff. Yerby masked his underlying concerns because He knew that he was dealing in a society whose currency was valued in blood... and he had studied such societies. Yerby’s description of Paris, under a reign of terror during the French Revolution, demonstrates that he even exceeds Dickens describing the actual horrors of world that revolved around endless executions with human heads being paraded around on pikes and ... what was worse ... the betrayal of any human sentiment of feeling meant that your head was next. After reading Yerby you understand why to those who endured those times found the Napoleonic wars a peaceful contrast. It is by telling the stories about how titanic events propel ordinary men and women to experience all of the triumphs and tragedies of the human agency, that Frank Yerby has made a lasting contribution. 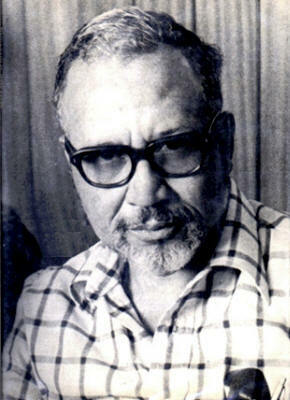 Yerby’s canon is a special intellectual legacy for black people. Yerby puts practical issues into a historical context for their study and understanding. For this, he demands that they at least make an effort up to read his work... Black intellectuals must at least make the effort to read and understand his legacy and then as its custodians pass them on..... as well as \ whatever wisdom we gain from our individual experiences with Yerby’s works. Yerby attempts to strip his black characters of their emotionalism and deprive them of their sentimentality. He motivates them using their own particular interests and he forces them to bear the consequences of their own good or bad decisions. Yerby continually teaches the lesson that bad decisions are like ghosts...they come back to haunt you. No higher power … whether theological or secular… is allowed to come to their aid. Yerby gives a calculatingly dramatic and chilling account of what happens to those who choose to ignore that which he has to teach. As a prophet of the new reality, Yerby is the first to provide an intellectual framework for a multicultural society. Yerby affirms for his decidedly multicultural readership that human agency runs the world. He achieves objectivity in his writings that make him blind to race or creed. One of the books Yerby is most proud of is An Odor Of Sanctity. It is a triumph of multi-culturalism. Christians, Jews and Muslims, all interact without contrivance and within their own cultural imperatives. For a multicultural understanding alone, Yerby deserves to be studied. And no better place to start than with An Odor Of Sanctity. That is because Yerby shows the human agency is culture neutral but intelligence sensitive. Human agency is intelligent, thinking and self absorbed. It makes rational judgments and intelligent choices … whether as a predator or as prey. It falls within the power of every person to find that agency for himself or herself and exert his or her will and meaning upon life. In Yerby’s books, his characters, whether born slave or noble … or somewhere in between… either exercise their own free will or succumb to their individual fate.